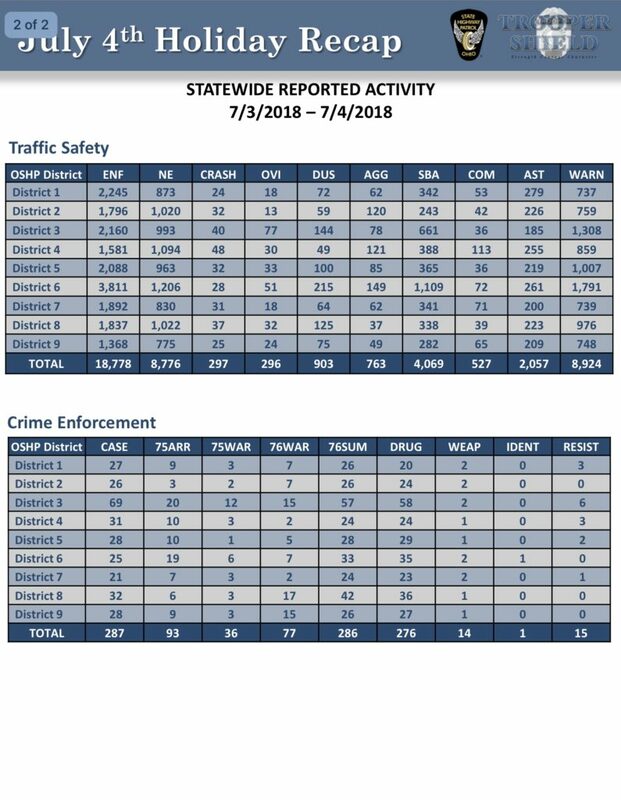 2018 Fourth of July Ohio State Highway Patrol statistics. Submitted photo. 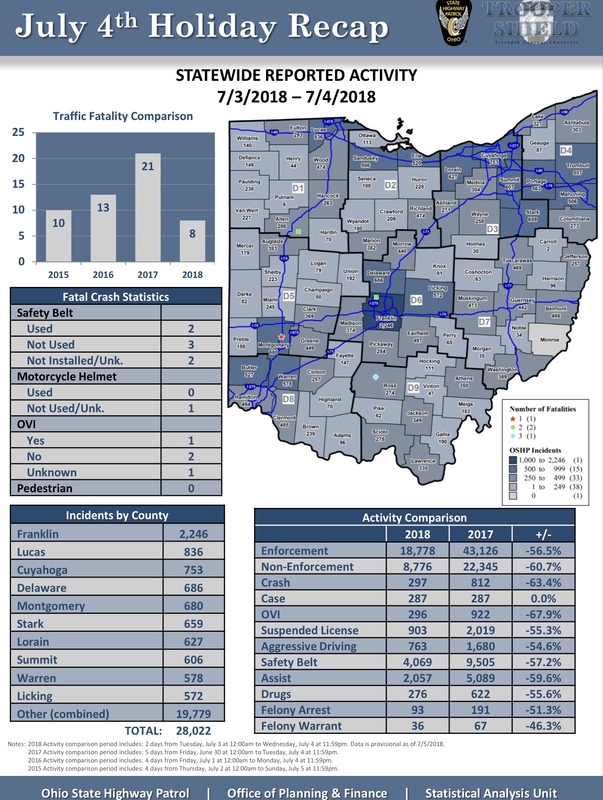 COLUMBUS, Ohio – The Ohio State Highway Patrol is reporting eight people lost their lives in four traffic crashes during the July Fourth reporting period, which began Tuesday, July 3 and ended Wednesday, July 4. Impairment was determined to be a factor in at least one of those crashes. Troopers made 296 arrests for impaired driving and 276 for drug-related charges. The Patrol responded to 297 crashes and made nearly 19,000 traffic contacts in total, which included assisting more than 2,000 motorists. During last year’s Fourth of July reporting period from June 30 to July 4, there were a total of 21 fatal crashes that killed 21 people. This included eight OVI-related fatal crashes which killed eight people. Motorists are encouraged to call #677 to report impaired drivers or drug activity.